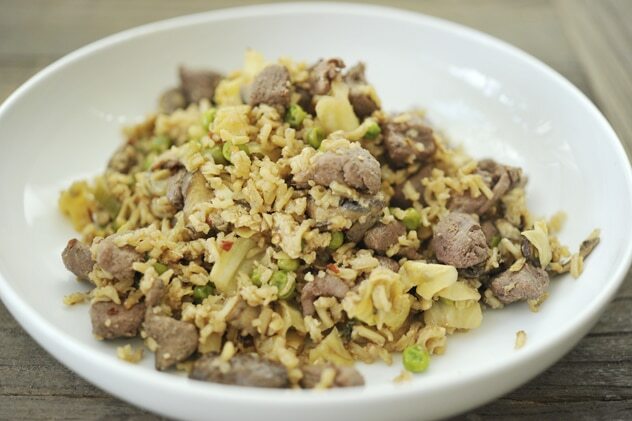 There are certain recipes that are so versatile, that they are a perfect place to incorporate your favorite meat, especially those extra scraps that you don’t know what to do with. 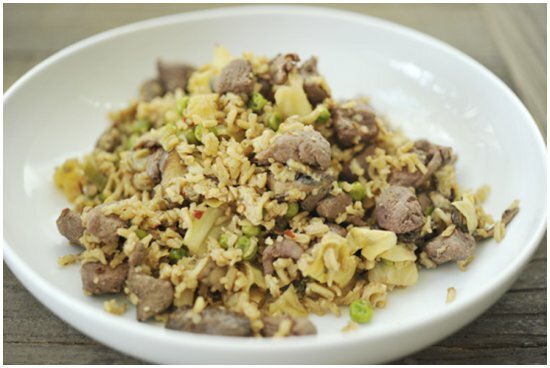 One of my favorite such recipes is fried rice—full of bold flavor, spice and sweetness and a perfect base in which to incorporate duck, especially these wild ones that a friend of mine recently dropped into my freezer. 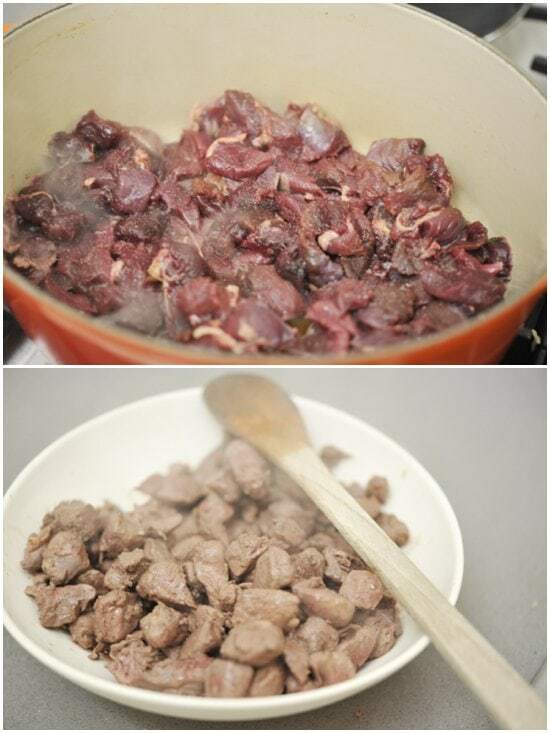 If you don’t have duck this recipe will also work well with all kinds of other meat–diced chicken, pork, beef, venison, elk, pheasant, squirrel and pretty much anything else you can dream up. You can also incorporate other vegetables that you have on hand—shredded carrots, exotic mushrooms, and bamboo shoots would all be great additions. Buy a sweet and sour sauce to serve as a side to the rice. 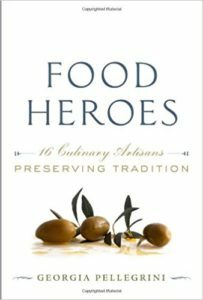 The bold flavors will taste just as good as any dish you’d have at a Chinese restaurant and the meat will be even better. 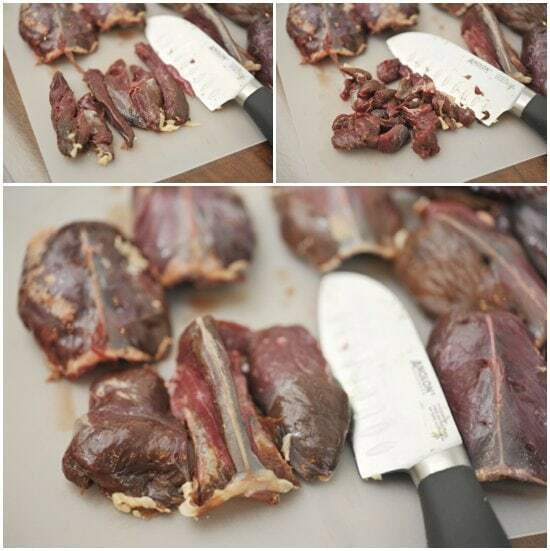 If using wild duck or any other strong flavored meat, let it soak in orange juice or another acidic marinade for a few hours to help temper the strong flavor. I like orange juice in this case because it adds a sweetness that pairs well with duck. To start, I cut the breast meat off of the bone, cut it into strips, and then diced it. You’ll want to put those pieces into the marinade. 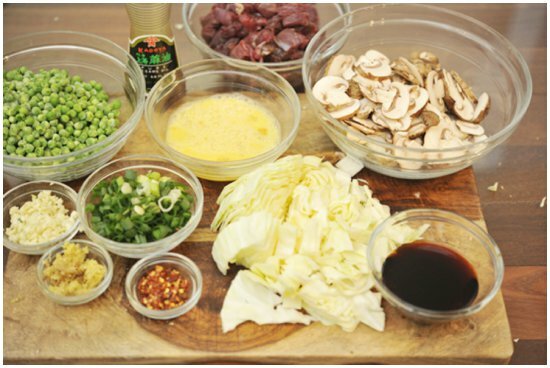 You’ll also need: diced cabbage, soy sauce, mushrooms, lightly beaten eggs, sesame oil, peas, minced garlic, grated fresh ginger, sliced green onion, and red pepper flakes. Plus cooked brown rice. 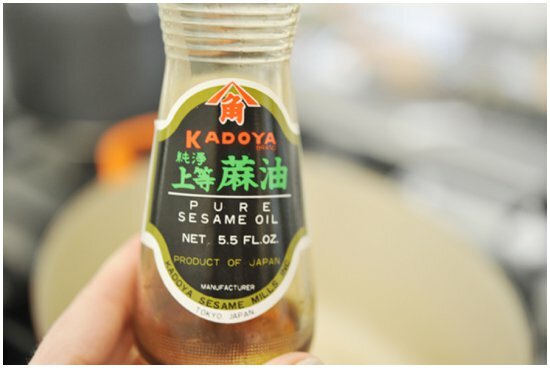 Start by dropping a few tablespoons of sesame oil into a heavy bottomed pot over medium-high heat. You could also try peanut oil if you want to get all crazy. Season the duck meat well with salt and pepper and then brown it on all sides. Then transfer it into a bowl and set aside. 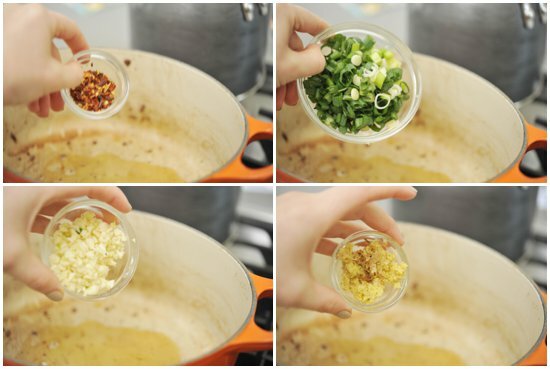 Add more oil to the same pot and add the red pepper flakes, green onion, garlic and ginger. Stir it on high heat for about 1 minute until it is very aromatic. 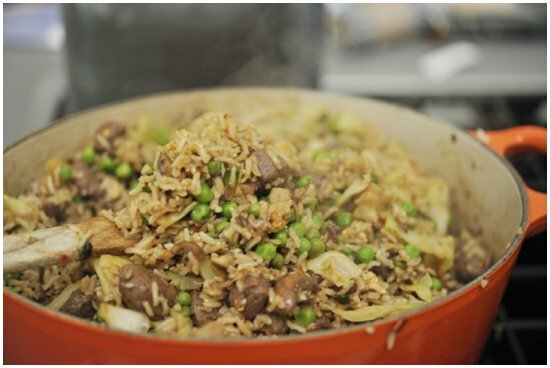 Add the cabbage, mushrooms and peas and sweat until soft. Add a bit more oil to the pot and scramble your eggs over low heat. 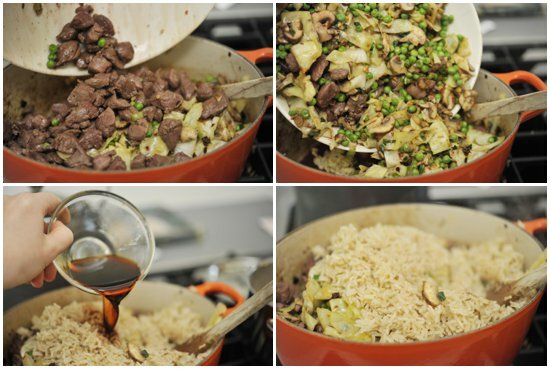 Add all of the ingredients back into the pot, including the cooked brown rice and moisten with the soy sauce. Stir it together well and serve. This dish tastes even better the next day so make a big batch and eat it throughout the week. Give this a try! It’ll make your skirt fly up. Heat 2 tablespoons of sesame oil in a large heavy bottomed pot or wok over medium-high heat. Add the duck meat and cook through, about 5 minutes. Remove from the pan to a plate and set aside. Add 2 tablespoons of sesame oil to the pot over medium-high heat. 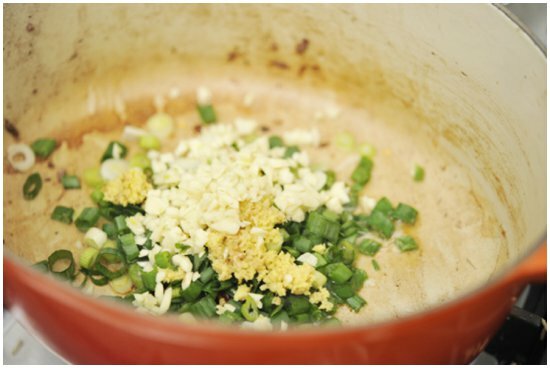 Add the green onion, garlic, ginger and red pepper flakes and stir-fry for 1 minute until fragrant. 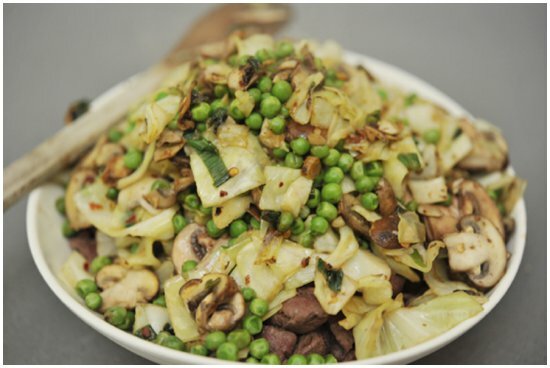 Add the cabbage, mushrooms and peas, season with salt and pepper and sauté until soft, about 8 minutes. 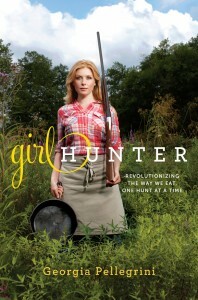 Remove from the pan to a plate. 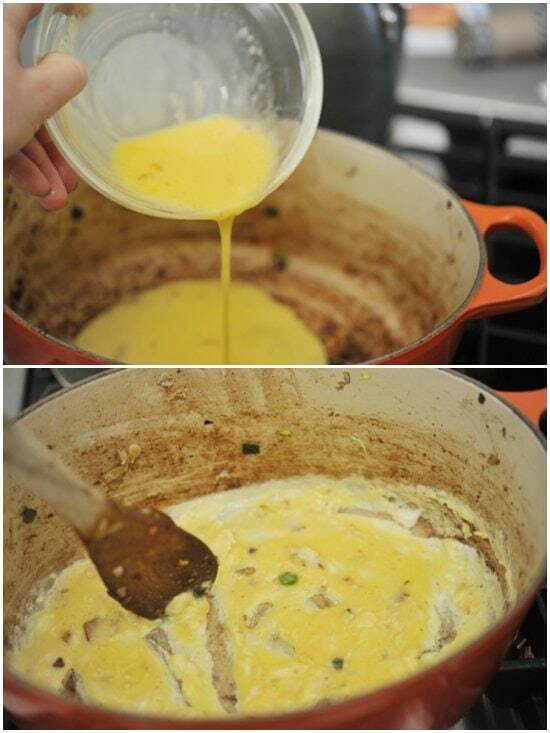 Over low heat, pour the beaten egg into the pot and scramble with a wooden spoon or spatula. 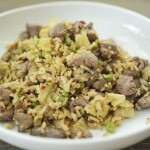 Fold in the rice and add in the vegetables and duck. Moisten with the soy sauce and stir. Spoon the rice onto a serving platter and serve. This looks SO good and comforting in this million below zero weather we are having in MN! 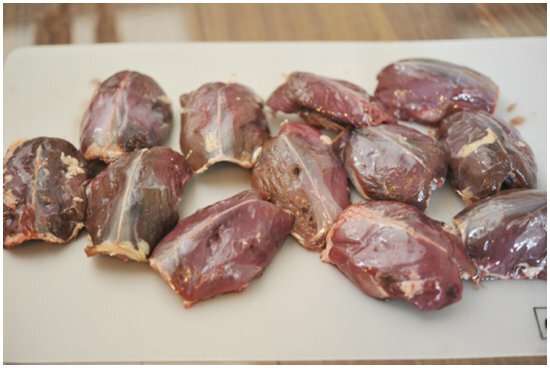 I’m going to try it with the pheasant I have on hand – Georgia, would you use orange juice to marinate pheasant as well? Since it’s a much milder taste than duck I’m curious what you think! You wouldn’t need to marinate it in that case, but it would give it a nice sweetness. It’s up to you! Oh good! I’m so so glad. 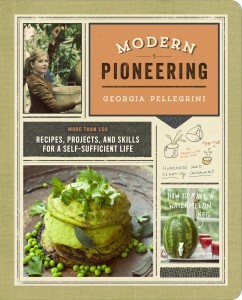 Made this with leftover leg of lamb and it was DELICIOUS!!! We gobbled it up. Thanks for your inspiration.